Well it is August 26th and I’m going to call this idea a “flop” <BIG GRIN>. Either talking about intimacy is not easy, or folks were just loathe to email their story to me since I could only promise I’d delete that email and not track “who said what”. But with only two submissions (only one in detail about the problems), I think Hearing Elmo may have to approach this from a different angle. 2. Never fear! I’m not giving up as I think the topic needs to be addressed in many forums – including this one. I just need to re-think how we are going to proceed. Those who DID contact me, feel free to email me to give permission to use your part in any follow-up post (still anonymously). Yes, I know there were only two (wink), but they sent them at the beginning of the month and I really can only “guess” and I really did DELETE them after saving the submission to another document. I don’t want to guess wrong! 😉 If you would rather not have your piece published in “snippets” and as part of a larger post at a later date, no need to email me. Ever scratch your head and wonder what the heck did they meant by that? Did you know that hearing loss is considered a communication disorder? However, I know plenty of people with normal hearing that seem to have a communication disorder. People have trouble communicating. Either they have the right words to say but the receiver interprets them wrong, or the person has “foot in mouth disease”. Even more tiresome is the fact that we communicate with far more than our mouths. Our facial expression, body language, even our “vibe” or “aura” communicates something to others. Peter Drucker said, “The most important thing in communication is hearing what isn’t said.” Isn’t this the truth? Yet, it is so difficult to master the ability to accurately “hear what isn’t being said”. While my first, knee-jerk reaction may be to respond: “Oh wow, I can’t believe you said that. You don’t look stupid!”, I try to take in the whole situation. What prompted their statement? Does their facial expression show confusion or delighted discovery? Do they look embarrassed seconds after having diarrhea of the mouth? I try to respond positively. Again, I try not to wince as I explain, “I’m glad I don’t look like anything is wrong with me, but I have invisible disabilities. Standing here you wouldn’t notice that I fall flat on my face if I try to pick things up that I’ve dropped. You wouldn’t know I have a balance disorder and am deaf by looking at me”. This usually prompts a repeated brain fart response of #1. Scroll up and re-read. What if it isn’t “SAID” at all? Many of us communicate through email, texting, or even FaceBook. It is a whole ‘nuther set of problems when you take something wrong that has been written. We don’t get the extra cues of facial expression or body language. We rely more heavily on context, or what we already know about the person. I have actually responded to an email or other written communication by asking for clarification. I do indeed have TMI (too much information) disease, but I’m learning to keep it brief. “What did you mean by that?” and then copying the sentence or question that I took wrong or in a negative way. Many times the person re-reads what they wrote and are appalled at how it came across to you. They re-word it, apologize, and you gain a better understanding of what they really meant. SIDE NOTE: I’ll just slap you up side the head if you ever text me when we are standing next to each other. … sometimes I can’t accurately interpret the meaning when I can’t see their faces. I’ve learned in face-to-face communications that a certain twinkle in the eye, quirk of the lips, or tension from suppressed laughter, means that the family member is being sarcastic. So I put the gun down. In texting or email I don’t get that. My usual response? “Ummm. what?” (Took me a long time to teach auto-correct that for ME, ummm, is really a word). This allows my family member to repeat in a more direct way. “Say what you mean. Mean what you say” is morphed into “Text what you mean. Mean what you text”. Hey… it works for us! What happens when you are flat out misunderstood though? You meant well, but someone jumped to the wrong conclusion. They are mad. They took it wrong. 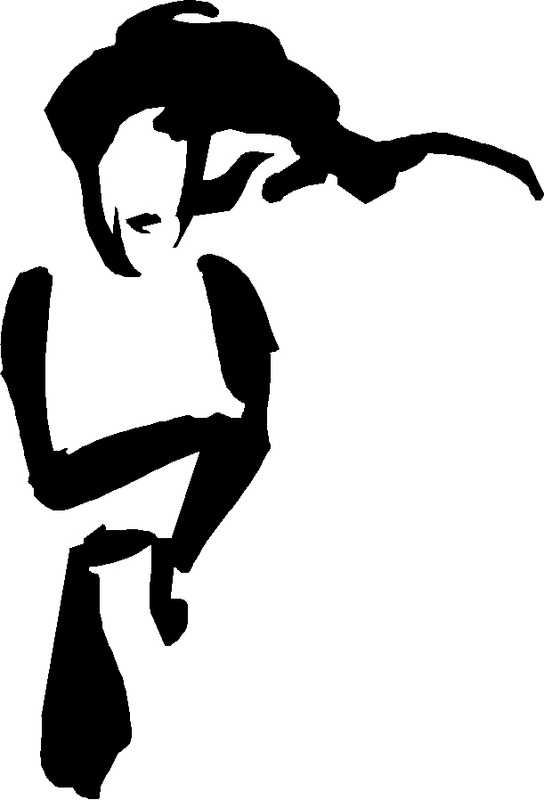 You are shaking your head and silently recording into your thinker, “Note to self: Never try to help so-and-so again”. Before you hit SAVE, try giving the person a chance to understand what you REALLY meant by helping, or by what you said. I tried to help and only meant to encourage you. You took what I said wrong and that grieves me. I wish you could see my heart and know how I meant for this to be taken. I know you’re mad. I’d like to work this out. Let me know if we can discuss this further. Nope. It isn’t a guarantee you will make things right. Offering that olive branch may mean that the person grabs it up and smacks you on the head with it. But hey! Who did the right thing? Pop an olive in your mouth, puff that chest out, and walk away with the kind of swagger only those who know they did their part in communicating WELL can do. Sometimes I wish we were all dogs. I’d always know you meant well if your tail was wagging. The photo above was taken at the 2006 Walk4Hearing in Pennsylvania. 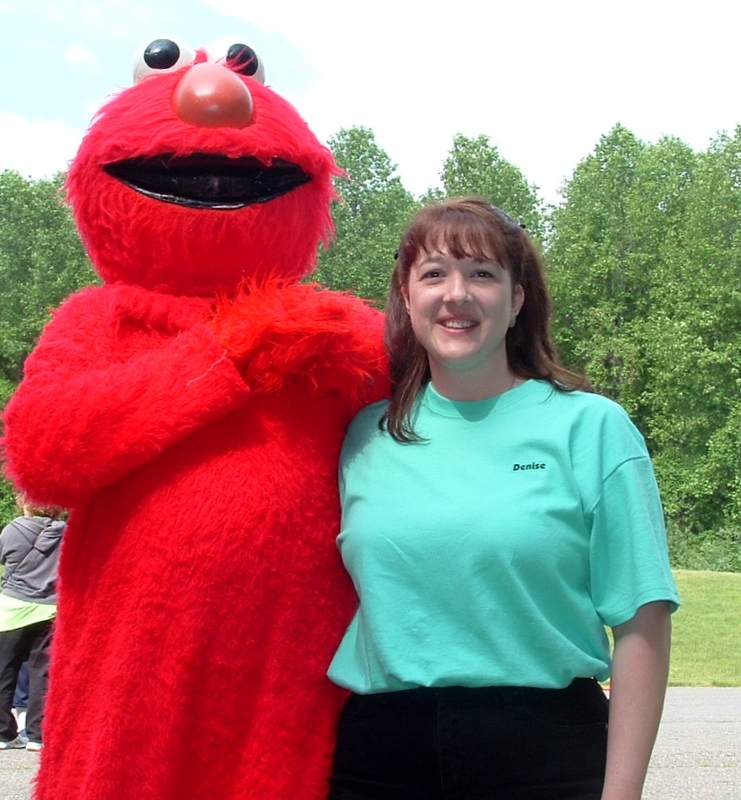 It was completely coincidental that the Walk coordinators invited “Elmo” to interact with the children on site that day. Poor Elmo had no idea what hit him as I squealed and came flying across the parking lot to hug his neck! Children he was expecting. A grown woman – not so much. However, Elmo encapsulated my reemergence to the hearing world – the first toy I heard months following my cochlear implant activation. Elmo’s voice (emanating from the “Tickle-me-Elmo” toy I found on the shelves of a local store) was the first CHILDHOOD voice I recognized after having been tweaked and re-programmed numerous times following my activation. It was an epiphany for me. From that moment on, I knew I was going to be OK. I could hear again – and more importantly RECOGNIZE voices. So to find Elmo that beautiful August day, 7 years ago, was thrilling for me! I stepped back to introduce myself and explain “why the exuberant hug“. Elmo interrupted me and mumbled something. I said something to the effect of “HUH?” (I’ve always been particularly good with words). Elmo spoke up. “I CAN’T HEAR A THING INSIDE THIS SUIT“. I stared blankly at Elmo for a moment and then broke into peals of laughter. Elmo put his hands on his hips and looked as exasperated as a character was able while inside a red furry suit! I apologized. Profusely. Welcome to my world! Something numerous readers email me about is their frustration at trying to explain what is working – or not working, to closest friends and family members. 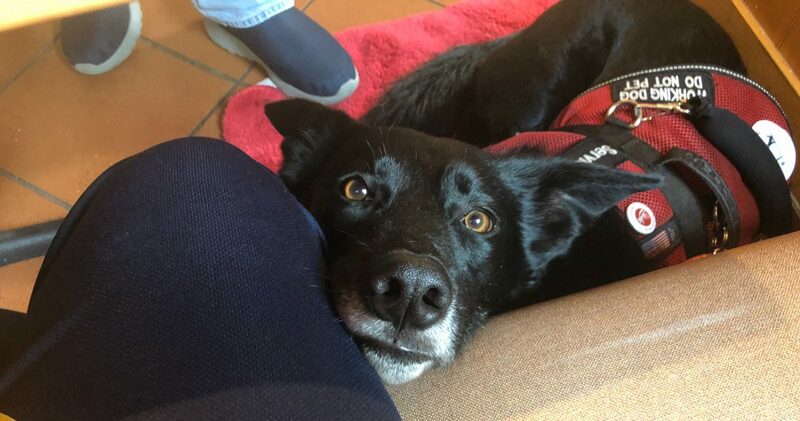 I was at an ADI (Assistance Dogs International) conference in Baltimore several years ago and just happened to be in the right place at the right time; relaxing against a wall in the hallway outside a conference room. Because of my position, I was in the perfect place to see and hear a lady take her husband by the elbow and drag him over to the side (near me) to fuss. Readers constantly tell me how frustrated they are to have to repeat “how to’s” to those closest to them. Folks they don’t interact with much they expect to remind about what works well for them and what doesn’t work. However, people think that if they are closely acquainted with someone they don’t ever need to be reminded of what they can do to communicate better, or to assist if needed. 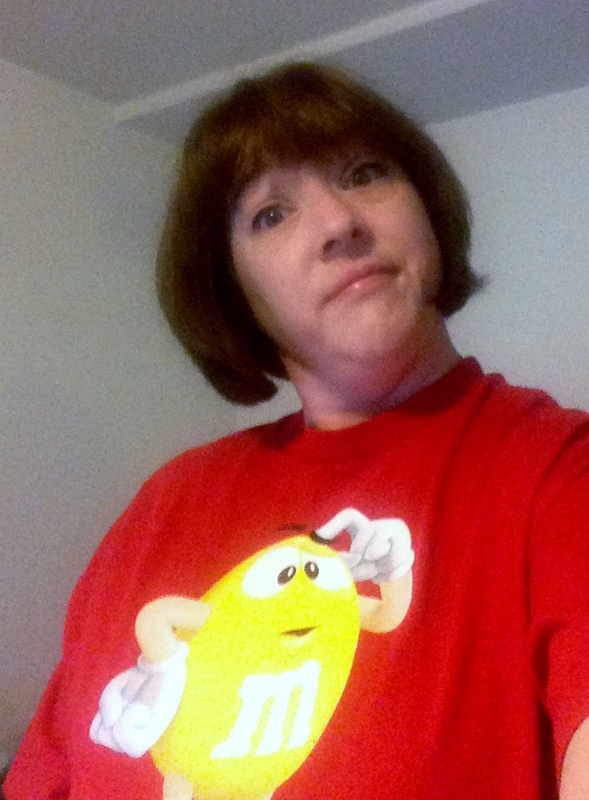 A close friend of mine and follower of Hearing Elmo has MS and deals with fatigue frequently as a result. She was out to eat with her mother recently at which point her body just shut down. Although they were not finished eating, she needed to leave and needed to do so right away. She stood up and wobbled, and ended up asking her mother for assistance. Her mother did so but was very quiet on the walk out to the car. It was there her mom let her exasperation get the best of her. My friend was shocked – and grieved that her mom, someone as close to her as anyone, failed to recognize what to her was obvious. One cannot pick and choose when fatigue and weakness will hit. My friend thought she had explained this to her mom (and very likely HAD). But her mom needed a refresher course in how symptoms of MS manifest themselves to my friend – a unique individual. When my frustrated friend relayed what happened to me I thought, “Well welcome to my world”. Don’t all of us who live with invisible illness, disability, or chronic conditions deal with the same thing? We have to repeat ourselves – often. My balance disorder allows me to move just fine. Standing still? Not so much. I wobble when standing still. Especially when standing in a large room with low ceilings and ceiling fans. I’m not the only one to be wobbling though. I giggled out loud one day when I lost my balance and a fellow client who uses a walker reached out to steady me and almost lost her own balance. She giggled right back in response and said, “I forgot you can’t hold still!” It was comical actually. Yes, we may both have balance problems, but we could help each other. We learn to laugh at ourselves if needed. We learn to accept help. We learn to communicate what it is we need. Do you get frustrated with the people in your life who should “know better”? “If I’ve said it once, I’ve said it a thousand times…”! Even those we love the most are NOT mind readers. They may know how best to communicate with you if you have hearing loss. They may know that certain things like weather or temperature influence how you feel. They may know how certain medications may help – or hinder you. If I’m honest with you, however, I will admit that even *I* do not know how I will feel from one day to the next. Maybe even from one HOUR to the next. It is my responsibility to communicate my needs. It is my responsibility to give gentle reminders. I am responsible to explain 1001 times if needed. Someone recently belly-ached to me, “At what point do I assume they will never get it? When do I give up?” Who said anything about giving up? There is no “end game” here. It’s a journey. Let’s all be willing to communicate – again – what we need.